One of the surprising winners of 2016 was a company who had been nearly written off for dead: Microsoft. Back in 2012 I called their latest operating system a “day 1 fail” and called Microsoft’s hardware “doomed.” Well, you can say I was right because both the operating system and the first-generation hardware were scrapped pretty quickly, but their replacements have been surprisingly, almost incredibly, good. They’ve been so good, in fact, that Microsoft was one of the true tech success stories of 2016. 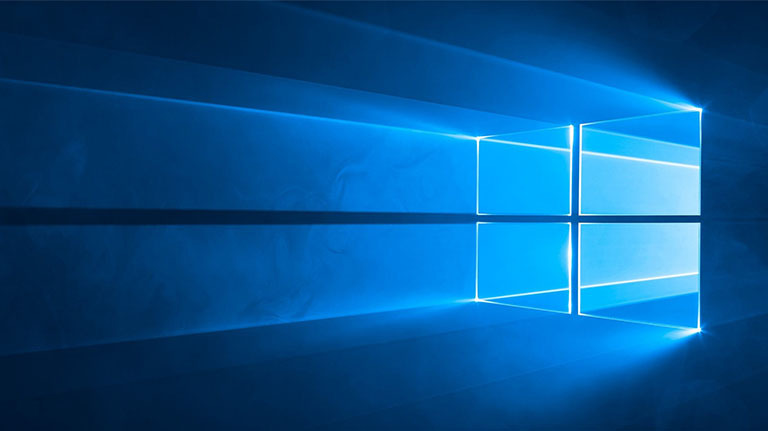 They used their programming might and built Windows 10, which succeeds in ways that no operating system ever has. It successfully blends touch and non-touch users into a single operating experience and lets people pick how they’d like to interact with their computers. It’s caused almost none of the upgrade headaches of prior versions thanks to an incredibly robust beta test program. And best of all, it’s been a free upgrade for most users with the promise that future upgrades will be free, too. As for the hardware, Microsoft’s Surface went from a poor-selling joke to a market leader in just a few generations and while Apple’s hardware has been failing, Microsoft’s has been rising. For the first time in its history, the company has been taken seriously as a hardware maker. When you talk about top quality hardware, you’re talking Dell, HP, and believe it or not, Microsoft. A decade ago, the company known mostly for weird looking keyboards is now a designer PC maker. How did they do it? Good management. Microsoft shed the final vestiges of its 1970s history and put in top managers who understood the 21st century Remember, there was a time when a PC was your only choice, pretty much, and that meant Microsoft was your only choice. They provided the operating system, the browser, the office software, and pretty much every aspect of the experience. They dictated, and you accepted. The 1990s was a great time for Microsoft, as they took over the computing world, but they lost their way in the 2000s because they didn’t understand smartphones and how companies like Apple, Google, and Samsung could create great experiences, experiences that didn’t have a single Microsoft component. Things looked pretty dire by 2012 as Apple seemed poised to dominate. Their laptops and desktops were fresh and stylish and their sales funnel was fed by millions upon millions of happy iPhone and iPad users. A funny thing happened, though, as Apple suffered from the same problems as Microsoft. Almost overnight their hardware seemed dated, their market leadership seemed insecure, and with the passing of the charismatic Steve Jobs, all of a sudden Apple seemed rudderless and confused. Given the opportunity, Microsoft pounced, taking pages from Apple’s 2000s playbook. They created solid hardware, an attractive operating system, and gave away updates for free. They did Apple one better by actually listening to users something neither Apple nor Microsoft have historically done well) and in very short order they took control of the market. All of a sudden Surface Pro’s started replacing MacBook Airs in cafes and student unions, and sales of iPads ground to a halt. Samsung, who was pushing inexorably toward controlling the mobile market, took a tumble, just due to sheer bad luck. And here we are in the first quarter of 2017 and all of a sudden Microsoft is the key player in an incredibly diverse marketplace. They’re not trying to enforce their will, they’re delivering top quality apps, operating software, and hardware. Their next update, which will be free for current Windows 10 users, will add new features designed to make everyone feel like a creative professional. Most of these features will probably go unused, but for the first time in a long time, their built-in stuff will be better then most retail products and not just “crapware” that can’t be deleted. I think Microsoft’s done a great job of turning things around and I wish them well. They’re back in the driver’s seat in almost every segment — they still can’t seem to understand how to sell phones — and their future, once uncertain, looks bright.